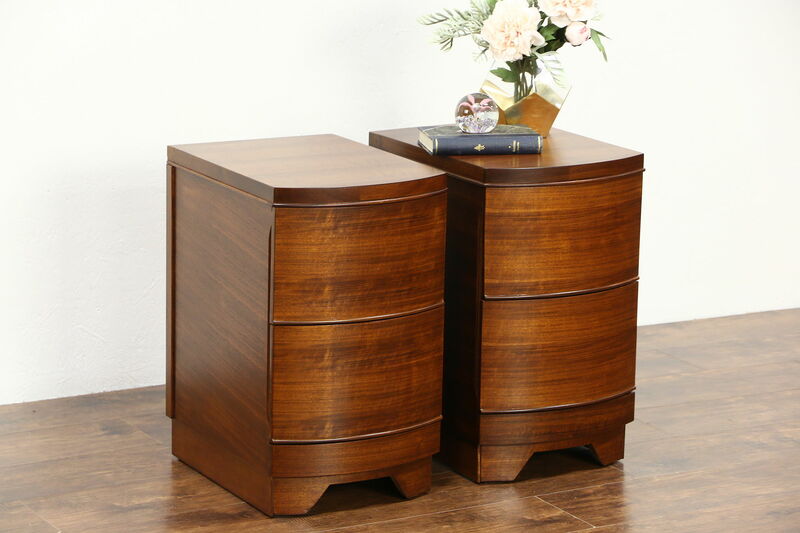 A pair of sleek Midcentury Modern nightstands from about 1950 are walnut with curved fronts. The restored finish is in excellent condition. Drawers have solid oak dovetailed sides on this unsigned American made vintage furniture. There was no hardware, there are finger holes on the sides to open drawers. Measurements are 14" wide, 19" deep and 23 1/2" tall.